Corporate wellness is the “elephant in the room” in our industry. You can ignore it. You can dance around it and say it’s not your thing. Or you can embrace it: Learn to dominate in this fast-growing field by putting your skills and passion to work for workplaces. There is room for creativity, so don’t worry about what you know or don’t know, or about a lack of standard resources. Armed with the five simple tips in this article, you can inspire real change in a workplace, impact your bottom line and grow your brand. 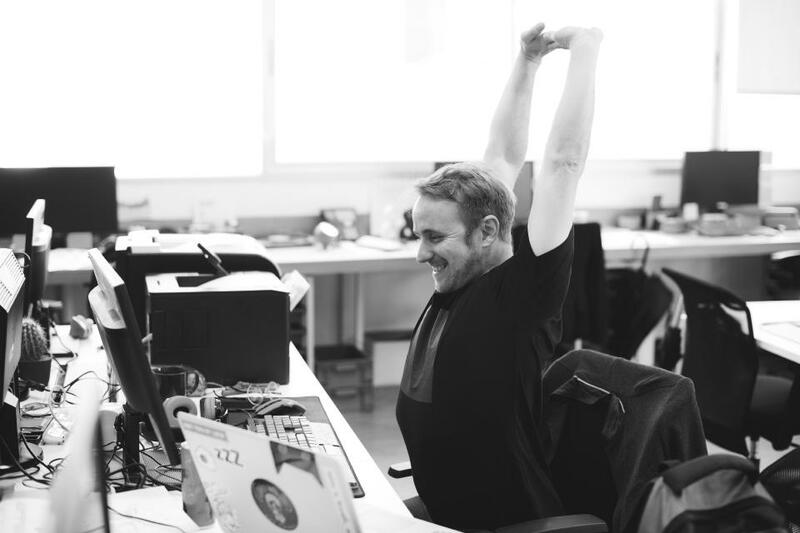 Traditional corporate wellness programs typically require that you seek approvals—from human resources, on-site wellness committees and insurance providers. Once the plan is OK’d by management, you have to communicate it to the employees, with your fingers crossed that they will participate. If employees don’t embrace it, they get either a carrot or a stick from their employer, depending on the organization’s philosophy. I refer to this lackluster strategy as “red-tape corporate wellness.” Years ago, I approached local school administrators about launching a corporate wellness program for their staff. The superintendent told me that they had “I.T. issues to deal with, but maybe next school year.” That type of response is very common. Although wellness strategies should be a top priority, other projects come first. Meanwhile, employee health and happiness decline. But let’s say you do get in the door and you offer year-round brown-bag lunch talks, fruit baskets, on-site stretching clinics and wellness profiles. What happens? The program fizzles, and the champions go back to the drawing board and come up with new rules and rewards. These efforts all fail for the same reason: They’re boring and logistical, and they don’t inspire change. They are simply fliers, paycheck stuffers and posters in the break room. There is another way. Make your program a special event. Make it about the people. In my community, we have led 118 corporate fitness challenges in 3 years, and I have seen hundreds of trainers and clubs do the same. For example, Leanne Zdebiak-Eni, a trainer and instructor in Courtenay, British Columbia, turned Island Pilates and Fitness into a hub for corporate wellness by offering short challenges with four critical elements of success: coaching, teams, accountability and fun. This fitness pro went from having no experience in corporate wellness (other than offering discounts) to being a go-to person for wellness and a perceived expert. She led a successful challenge with her local fire department, and that opened the door to others. You, too, can learn from the following secrets to success. Offer wellness challenges with a kickoff and a finale. I recommend 6 weeks. Shorter, focused programs will boost excitement, deliver tangible results and increase participation in the company’s year-round efforts. Your goal is not to become the company’s only wellness provider; your goal is to be the game changer. With this approach, you’ll create lasting relationships with the participants—and you may retain them as long-term clients or members, if your business model allows. You can book an entire year of 6-week challenges and create an ongoing feeder system for your business. Appeal directly to the employees’ emotions, future, health and relationships. Leave the company’s bottom line and rising insurance premiums out of the dialogue. Paint the picture that wellness is a better way of life. Share success stories about your clients who have lost weight, gained energy or overcome injury. Go beyond the numbers. Share how their relationships have changed; how they are happier; and how they travel more. Do you dread or avoid your annual physical? Do you take medication that you wish you didn't need? Do you lack energy at the end of the day? Do you struggle to prepare your family's meals? Have you been carrying around extra weight for a long time? Is your health declining? Are you living with aches and pains? Are you worried about either your health or the health of a loved one? For more information, please see “A Corporate Wellness Strategy That Works!” in the online IDEA Library or in the August 2018 issue of IDEA Fit Business Success). If you cannot access the full article and would like to, please contact the IDEA Inspired Service Team at 800-999-4332, ext. 7. Want more from Trina Gray? I love the business of fitness. I love coaching fitness professionals to do more with their skills and talents to change their communities. I teach trainers how to celebrate their way to success with smart business practices, savvy marketing and social media skills. My specialty is corporate fitness, on-line training, as well as owning and operating a full-service health club and a personal training studio. I am passionate and feel called to share it. ... read more.